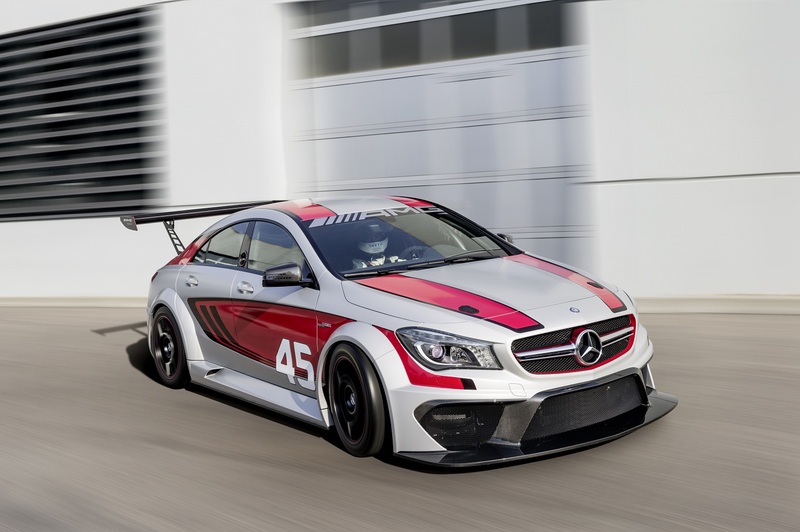 The promotion of the CLA continues, this time with a racing car that can take part in race series featuring 2.0-litre turbocharged cars. Depending on the race rules and race series, the car can have different engine output, power transmission and it you can choose between permanent all-wheel drive or purely front-wheel drive. The car is based on the road version of the CLA, but it's made out of carbon-fiber (CFRP). It also has a new front and rear, a new rear wing, and adjustable front splitter and rear diffuser. It also features an adjustable racing suspension, improved braking system, carbon-fiber P 1300 Recaro racing bucket seats, 18-inch wheels and treadless racing tires.